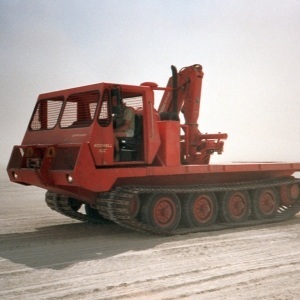 In 1951, Imperial Oil approached Bruce Nodwell (Bruce Nodwell (May 12, 1914 – January 20, 2006) and Ted Riback, founders of ATCO trailers, to see if they would build a prototype vehicle capable of transporting a five-ton payload across muskeg. 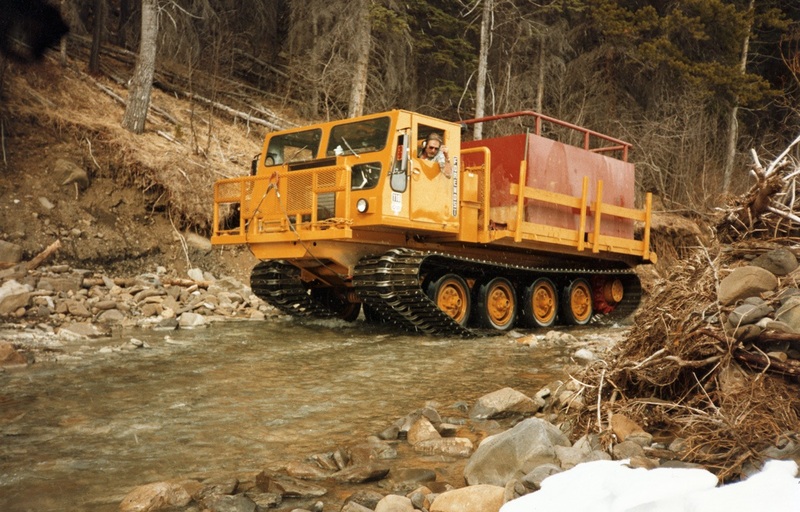 This boggy stuff, very common in the Canadian bush, was severely hindering exploration initiatives in northern Alberta. Nodwell created two vehicles following an Imperial Oil design, but neither functioned properly. 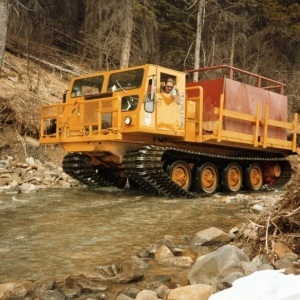 Although the oil company then abandoned the effort, Nodwell decided to devote himself full-time to developing a tracked off-road vehicle. In 1955, Bruce’s invention of the double sprocket made it possible to drive wide tracks and also keep them in place while using a single row of wheels. 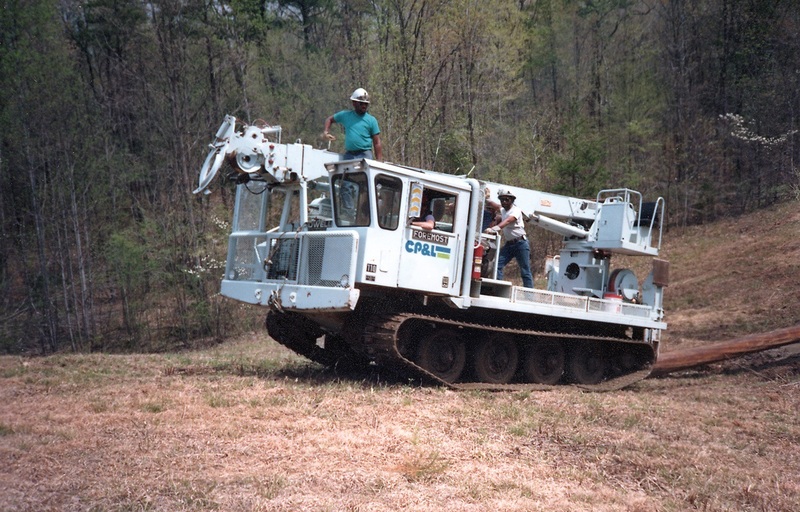 The combination of the splice in the belt and the double sprocket allowed the use of any size or shape belt the vehicles needed. The “wide track” concept was born. 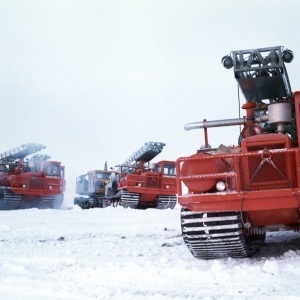 They were now able to build a new and different type of machine. 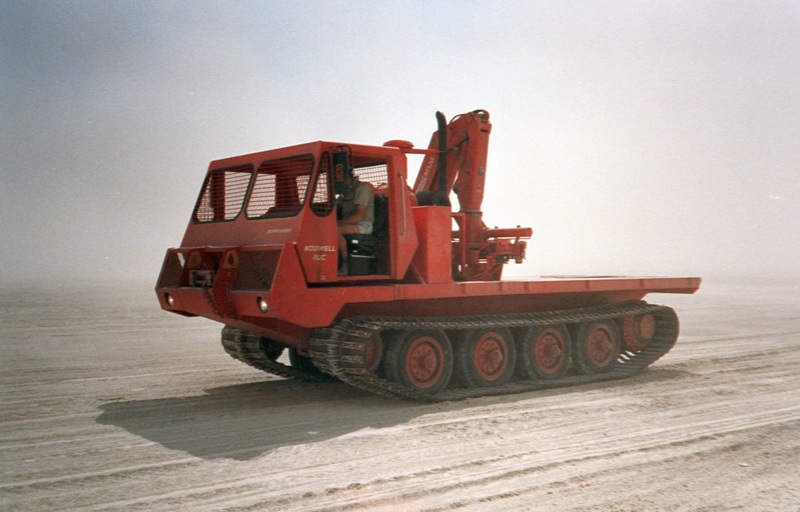 The new vehicle was first called the Tracked Truck. 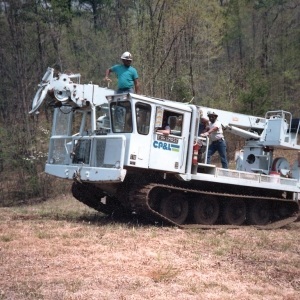 However, everyone in the industry knew Bruce, because of his close contact with existing and potential customers, so they called the vehicle the “Nodwell”. 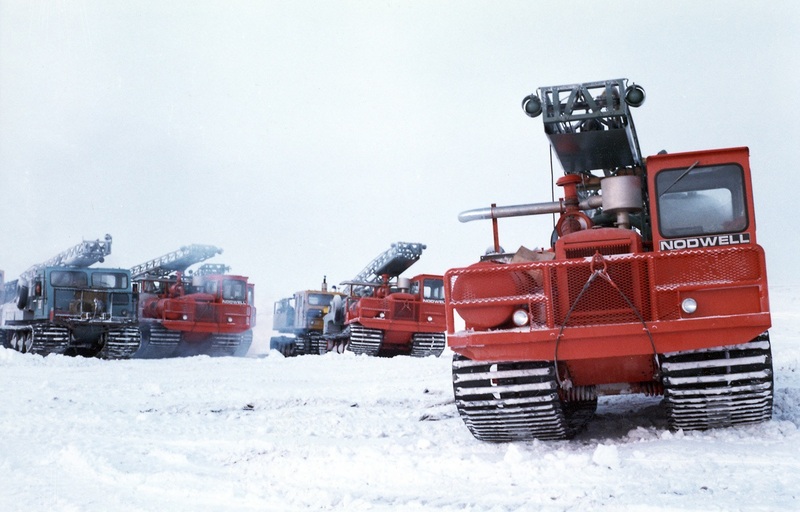 Later, the vehicle became known as the Nodwell 110, indicating its payload in 100 pound units. Today it is affectionately called the “Noddy”. 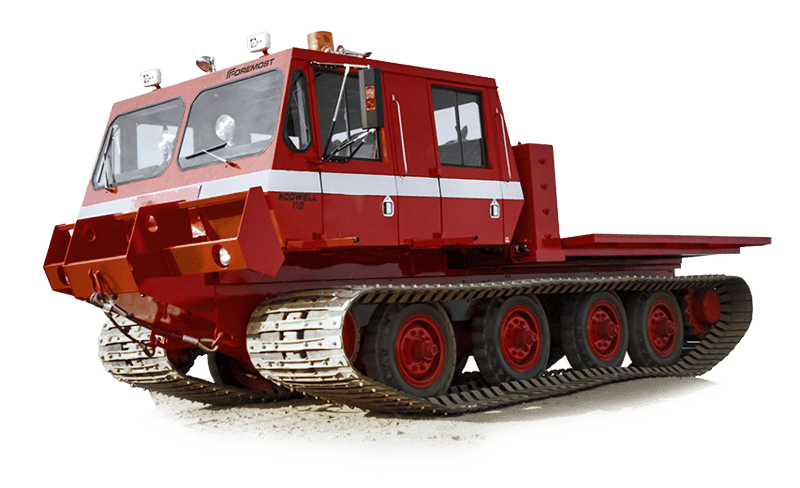 The Nodwell 110 is a multi-purpose two tracked vehicle capable of traversing a wide variety of adverse terrain conditions such as sand, mud muskeg, swamp, and snow. The Nodwell gives you a smoother ride for longer commutes with its Torsional Coil Spring suspension system. The Nodwell 110 is transportable by highway truck.